When menopause hits, the declining estrogen levels cause not just hot flashes but a whole host of conditions. One of them is depression that comes associated with menopause. Menopause itself does not cause depression. Studies show that scientifically there is no link between the two. Psychologically, any major life changing event can lead to anxiety or depression. And menopause leading to depression is all the more common in countries where women still lead traditional roles. In their 50’s, women often have to deal with changes and menopausal symptoms can pile on to the pressure. Statistics suggest 75% of menopausal women experience hot flushes that interfere with sleep cycle, and also result in excessive sweating. Emotional changes experienced by women undergoing perimenopause or menopause are irritability, feelings of sadness, and lack of motivation, anxiety, difficulty concentrating, fatigue, mood changes, tension and some more. Researchers found that women in perimenopause are twice as likely to be diagnosed with major depressive disorder (MDD) and four times as likely to develop depressive symptoms as those who haven't yet entered this hormonal transition. The studies found that women with the greatest frequency of hot flashes reported the most significant depressive symptoms. While according to tests there is hardly any relation between menopause and depression, there are other factors that lead to it. In a society like ours, where the female reproductive role is given the utmost importance and is highlighted all the time, menopause can make a women feel helpless, even if she did not want to have any more children. This feeling of being a failure, or not having a choice about the biology of your own body, often culminates in self-harm ideas, being irritable and on your nerves all the time, and just wanting to isolate yourself from everything around you. Some women concede that depression at menopause is because of feelings that they are getting old and apprehensions that they will be perceived as less attractive and sexually undesirable. Even though depression is not found to be related to menopause in clinical trials, testimonies show that many women do experience depression perimenopause and post-menopause. Because of the flexible use of the term and its appropriation, depression, in our country, is usually sidelined as mood wings, episodes of sadness, just ‘being morbid’, or mistaken for anxiety. But what gets neglected is that depression is a medical condition which must be diagnosed and treated accordingly. Interestingly, in cultures where there is stigma attached to the menstrual cycle, moral policing restricts you from participating in certain activities, people whisper about ‘that time of the month’, and childbirth can prove dangerous to a woman’s health, fewer women report depression. Yet, studies show that women going through menopause are four times more likely to be depressed than women who are younger than the menopausal age. Every woman responds to menopause differently and therefore, the time is takes for one to get used to the declining levels of estrogen and progesterone varies from woman to woman. This may lead to a variety of menopausal symptoms, but depression is the commonly reported one. It often lifts when the body has acclimatized to the hormonal changes, but if it persists, always seek professional help. 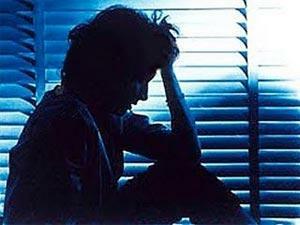 Unfortunately, in some cases, depression can continue into - or can primarily occur - post-menopause. This mainly occurs due to the depletion in serotonin levels, a neurotransmitter that is responsible for mood regulation, because of low estrogen levels. According to a study conducted by the University of Pittsburgh’s analysis of 221 perimenopausal women, 129 women hit menopause during the course of the study, and 69 of them experienced one major depressive episode. Try to break large tasks into smaller ones, prioritize your to-do list, and do whatever you can, when you can. Indulging in social activities, taking some time out to relax, watching a movie or participating in a gathering are some things that can help. Monitoring your diet can also help. Indulgence in sugary foods or a carb rich diet can cause the blood-sugar levels to rise and fall unexpectedly. Hormone Replacement Therapy is also recommended to women who are suffering from post-menopausal depression because it counters low hormone levels. For perimenopausal mood swings, experts suggest oral contraceptives. This estrogen-progestin-progestin combination can stabilize hormone levels. For severe depression, it is advisable to consult your health-care provider and get information on anti-depressants to treat menopausal or post-menopausal depression. There’s also a wide range of therapies dedicated in improving depression, including cognitive behavioural therapy (CBT), a limited period, goal-oriented psychotherapy treatment that takes a practical approach to problem-solving, and to change negative patterns of thinking into positive ones. Advertising | Marketing Consultant | Blogger| Singer | Emcee | Soft skills trainer. Lifestyle, Fitness, Travel, Fashion, Makeup, Dogs, Feminism, Poetry, Life. TheaCare invites you to write for the platform, on any of the topics, themes suitable for the space. You are welcome to send in pitches, or complete drafts on physical and mental health, body image, sexuality, caregiving, parenting, pregnancy or any related subjects. For rich, body-positive resources, engaging discussions and a lot many events for your health and well-being, subscribe to our fortnightly newsletter. We don't spam!